We look forward to hearing your ideas, answering questions, and creating a more sustainable campus with you. Let us know how we can help! For electronic waste recycling inquiries, please contact IT Services (click here for detailed information). For dining, residential dining commons, food, and composting inquiries, please contact UChicago Dining at dining@uchicago.edu. For general inquiries, please contact the Office of Sustainability at officeofsustainability@uchicago.edu, and your request will either be answered directly or routed accordingly. 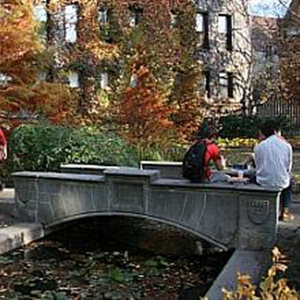 For information on strategic sustainability planning, please contact Alicia Berg, assistant vice president, campus planning + sustainability, at 773.834.4798.